The AG Bell 2018 Research Symposium is supported by a grant from the National Institute on Deafness and other Communication Disorders at the National Institutes of Health. Since 2000, AG Bell has received grant support for research symposia from the National Institutes of Health to present its renowned Research Symposium featuring esteemed scientists in the field of hearing health research and auditory science. AG Bell appreciates the ongoing commitment of Tilak Ratnanather, Phil. D., and Peter Steyger, Ph.D., for their continued work that supports AG Bell symposia. Researchers are making important discoveries about how the brain perceives and utilizes spoken language. Translational research will be presented about language and the brain with findings that lead to predictive strategies to help ensure that we are optimizing interventions to maximize access to hearing through technology and improved perception of speech and other sounds. At the 2018 research symposium, scientists will share their findings and application of their work in daily practice with children and adults. 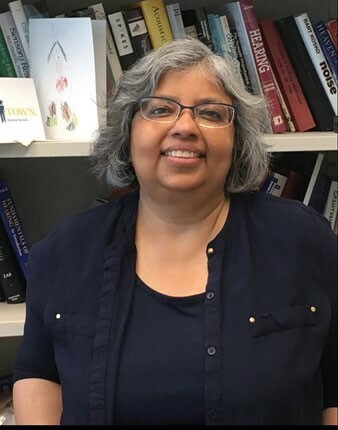 Monita Chatterjee, Ph.D., Director, Auditory Prostheses & Perception Laboratory, Boys Town National Research Hospital, Omaha, Nebraska. Vocal interpersonal interaction between humans requires both the communication of words (What did she say?) and the internal state/mood/communicative intent of the speaker (How did she say it?). Cochlear implant (CI) users show good performance in the “what” part of speech perception but have significant deficits in voice emotion recognition and other aspects of the “how” part. Dr. Chatterjee’s research investigates which factors determine how both populations perceive and communicate vocal emotion in speech. Describe how children with CIs communicate vocal emotion in their speech when compared to their normally-hearing peers. Barbara Cone, Ph.D., CCC-A, Professor, Speech, Language and Hearing Sciences, University of Arizona, Tucson. We have sensitive and specific tools for estimating hearing loss and for fitting hearing aids and CIs. Yet, we do not have tools to indicate whether hearing aid or CIs are providing access to the acoustic cues needed for speech feature discrimination, a building block of speech perception and language development. Dr. Cone-Wesson’s presentation will review a research that shows how a cortical auditory evoked potential known as the acoustic change complex, signals whether the cortex is receiving adequate stimulation for speech sound discrimination. Describe how cortical evoked potentials provide information about speech feature discrimination. Describe the use of cortical evoked potentials for indicating hearing abilities in infants and toddlers. Ryan McCreery, Ph.D., Director of Research, Boys Town National Research Hospital, Omaha, Nebraska. Children who are deaf or hard of hearing (CDHH) who wear hearing aids are achieving more favorable outcomes for spoken language development than ever before due to early identification and intervention. Despite this progress, CDHH continue to experience difficulties listening and learning in background noise compared to peers with normal hearing. Background noise is present everywhere, so these challenges can limit access to educational and social opportunities. Our research has focused on a better understanding of the processes that support speech understanding in background noise for CDHH who wear hearing aids. Dr. McCreery will present the ways that parents and clinicians can support the skills needed to help children listen and learn in noise. Incorporate estimates of aided audibility and hearing aid use into their clinical programs. Develop developmentally approach protocols for speech recognition and parent-report questionnaires for children who wear hearing aids. 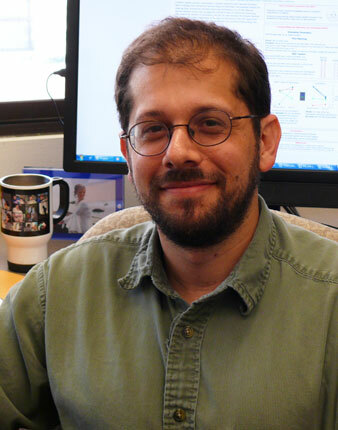 Matthew Goupell, Ph.D., Associate Professor, Department of Hearing and Speech Sciences, University of Maryland. Providing hearing to both ears through devices like hearing aids and CIs is intended to improve the ability to locate where sounds are around a person and understanding of speech in the presence of competing sounds. While two inputs provide benefits, there continues to be room for improvement as performance does not achieve the levels of those with typical acoustic hearing. The binaural-hearing centers of the auditory system are designed to be very sensitive to small differences between the ears. Therefore, any across-ear distortions created by the devices and encoding by the brain may be the reason why better performance is not achieved. This talk will describe these distortions and ways we may improve upon existing technology to remove the distortions. Attendees will be able to relate how acoustic differences between the ears (binaural cues) to perceive different spatial locations and organize auditory scenes with multiple sound sources. Attendees will be able to understand how cochlear-implant processing distorts binaural cues and diminishes binaural hearing abilities. Many individuals who have a cochlear implant in each ear have difficulty combining the information from the two devices. This can have detrimental effects and limit the benefits of having two cochlear implants. However, extended experience with bilateral cochlear implants can alter how the brain processes sound, potentially minimizing those effects. This talk will discuss the benefits and limitations of bilateral cochlear implants and how extended use of bilateral cochlear implants alters the auditory system, minimizing but not eliminating these limitations. Techniques being developed to overcome some of the limits of current bilateral cochlear implants will also be discussed. Attendees will be able to describe the benefits and limitations of bilateral cochlear implants. Attendees will be able to describe how the brain changes with experience with bilateral cochlear implants. View the videos below to learn more about this year's NIH Sponsored Research Symposium by the presenters themselves! Stay tuned for more videos in May 2018.